The latest and last instalment of the European Piano Masterworks series, which has run monthly at the National Concert Hall in Dublin since February, had an explicitly French hue, with works by Debussy and Murail accompanying the evening's main serving, Ravel's Gaspard de la nuit, one of the major piano works of the twentieth century. A higher public profile occasioned this concert than had the previous two. Hugh Tinney, performer and series director, appeared on television last week on RTE's flagship arts programme The View, performing Jardins sous la pluie from Debussy's Estampes, and in an article in The Irish Times earlier this week, Tinney talked about the piano works of particular importance to him in his career. It is a testament to the quality of this series that its profile has so risen, and public acknowledgement is deserved for what has been an excellent series overall. Whereas many concerts now are sold on the pulling-power of star performers, orchestras, or conductors, it is reassuring to witness the success of a programme based perhaps unfashionably on nothing more than a thoughtful exploration of the piano repertoire. Composed in 1903, Debussy's Estampes has three movements, each evoking a particular atmospheric scene. The first, Pagodes, makes prominent use of a five-note scale whose oriental sound betrays the composer's enthusiasm for the Javanese music he famously heard at the Oriental Exhibition in Paris in 1889. The atmosphere of a languid summer evening seemed to descend on the hall as Tinney led us through this opening movement's course. Soirée dans Grenade followed and led into Jardins sous la pluie, where you could hear the pitter-patter of rain everywhere falling in the continuous notes on the keyboard. Fauré's Nocturne in D had been programmed to follow but due to time constraints was left out, to the evident chagrin of some of the audience, who presumably had nothing better to talk about. 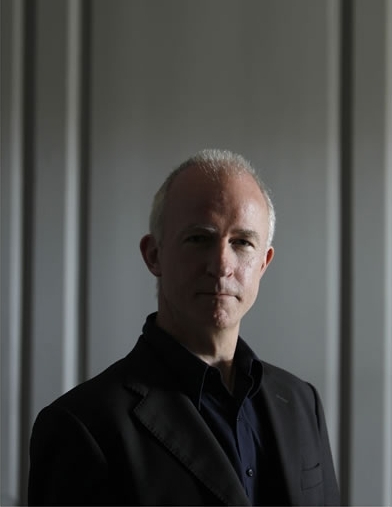 A constant of the series has been Irish composer Raymond Deane's Noctuary, a projected twelve-movement work the first half of which has featured piecemeal, two movements at a time, over the three concerts. Tinney credits Deane with having changed his attitude about the piano'srelevance as an instrument for contemporary composition. It's not hard to see why, Deane proposing in this work a thoughtful and nuanced re-vision of the nocturne. Not that its dark tones were to everyone's tastes, the dissonances of 'Mezzotint' falling too harshly on some ears after the lushness of the Debussy. This is one of the best pieces we've yet heard from Noctuary, with an initially sparse motif slowly gathering pace and expanding like a snowball careering faster and faster down a hill. '...hitheringandthithering...', a more turbid offering, appropriately takes its name from Joyce's night book Finnegans Wake. More Debussy followed, the first three movements of Images Book I. Composed after Estampes, Debussy stated at the time that these pieces contained 'the newest discoveries in harmonic chemistry.' It is a little quaint and not a little sad to think that once upon a time this music, full of beautiful evocations and powerful juxtapositions, was also full of newness for the ears of its listeners. Certainly it has a formal elegance seemingly out of the reach of many of our contemporary composers; not that of course, that formal elegance was within reach of many of Debussy's own contemporaries. But rarely since has the new in music been so conjoined with the joyful, or the avant-garde with the exuberant. After the interval came Tristan Murail's La Mandragore. Murail is one of the most successful of recent French composers, enjoying a healthy degree of performance on the new music circuit in his native Europe and Stateside, where he is now based at Columbia. La Mandragore takes its cue from the Gallows movement of Gaspard de la nuit, with a fine foreboding air reminiscent of L'échange from Vingt regards sur l'enfant Jésus by Murail's teacher Messiaen. Finally came Gaspard itself. This was a fine choice for a concert and series closer, brimming over with technical and aural fireworks. Each of the three movements is based on a prose poem from the titular collection by the French Romantic Aloysius Bertrand, conjuring up a delirious world of devils and imps and maidens. Ravel here consciously focussed on crafting a work that would involve the highest level of demand for its performer. By and large the challenge was met by a concentrated Tinney. Although the opening right hand figure in Ondine could have been played with more clarity, it didn’t take away from the general flow. The standout movement, even more than the climactic Scarbo, was the funereal Le Gibet, whose incessant bell toll Tinney dispatched with much in the way of pathos.